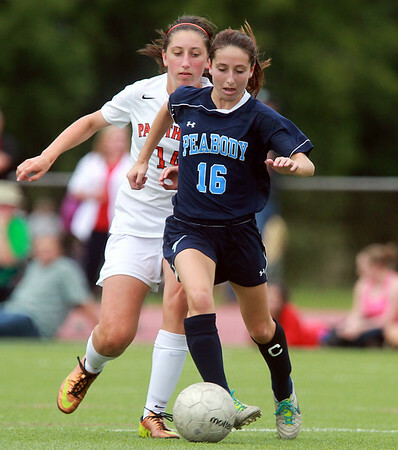 Peabody senior captain Caroline Colbert (16) carries the ball upfield while being closely trailed by Beverly senior Meghan Berking (14) on Thursday afternoon. DAVID LE/Staff photo. 9/11/14.